We provide an effortless and delightful shopping experience through exceptional customer service that keeps our customers coming back. Our team goes the extra mile, makes empowered decisions, and ensures customer happiness as our top priority. 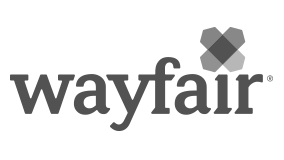 To us, all ideas have merit, and we encourage every team member to take an active role in making Wayfair the greatest online destination for everything home. Sales and Service Consultant with German - Start dates in August! Not ready to make a move, but want to know more? Join our talent community to stay connected.